Ferrari, Zaha Hadid Architects, BMW, Airbus or Ford stand out in the listo f Keynotes and Speakers. 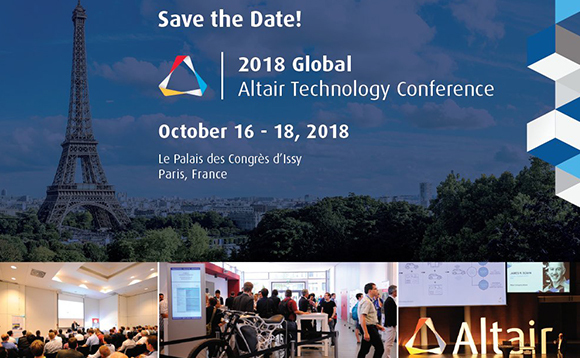 Next October 16 a major AM focused seminar will take place in Paris, in which leading companies from different industrial sectors will show how they have managed to increase their competitiveness with Altair HyperWorks. The Congress will focus on how to achieve time and cost reduction with an effective optimization, how to increase the productivity of tooling applications with 3D printing and Multiphysics Simulation, and what is the best way to design and simulate large structures in the aerospace sector.